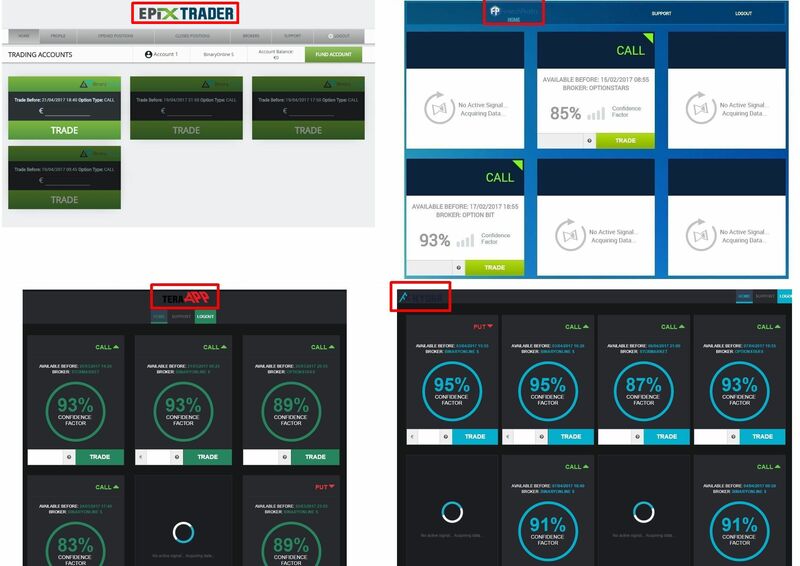 This review proves that Epix Trader is a scam that abuses binary options. It is presented by Mark Evans. 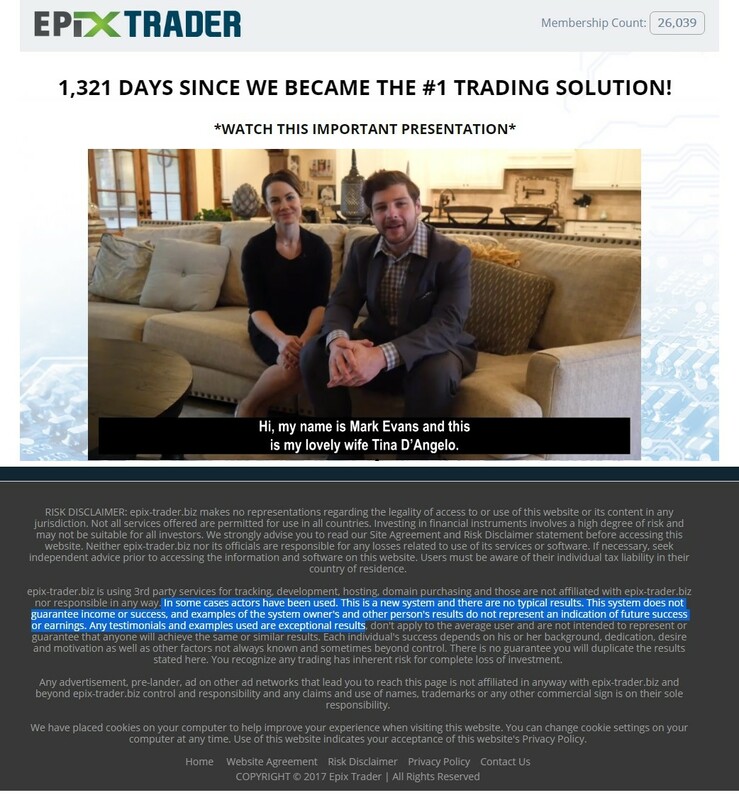 Evans says that with his wife Tina D’Angelo he developed a binary options trading app named Epix Trader. This software can allegedly make you “serious” money. 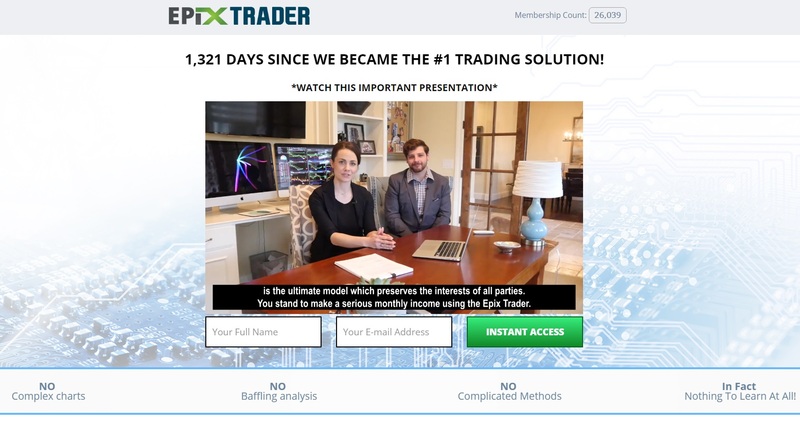 And because Epix Trader is free, you can make money for free? Well, not really. First of all Mark Evans and Tina D’Angelo are fictitious characters played by paid actors. These people are not real binary options traders and they have not created any trading software. You just have to read their disclaimer to get the confirmation that they used paid actors, because they are the only two people that you see in the presentation. Look at the picture. You will also learn that you cannot expect any positive results. The real proof that Epix Trade is a scam comes with the software they will provide you with. We analyzed the software and we find out that it is a well-known scam app that has lost a lot of money to a lot of people. Scammers facelifted the look of their app, but our analysis shows that it is the same software as used for example by the Hydra App, Tera App or Fintech Profits. But there are dozens more scams that are based on the same robot. 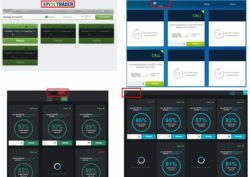 Because we get feedback from real users about this software, we know that it is losing money in trading with real money! Not to mention that it is an illegal software in all countries with financial regulation. Because it generates trading signals, it is considered to be providing investment advice, which is a regulated activity. So you have to have licence in order to offer such a software in countries like the US, EU, Australia, etc. But Epix Trader is anonymous, no licence whatsoever! And there is of course a good reason for this, it’s a scam. The real aim of Epix Trader is very simple. People who run this scam are affiliated with some unregulated brokers, so they get paid for referring new depositors to these brokers. So Epix Trader is of course not free, you will have to deposit at least $250 with a broker that you won’t be allowed to choose. If you do it, scammers will get their commission and their software will then lose you money. That’s all. 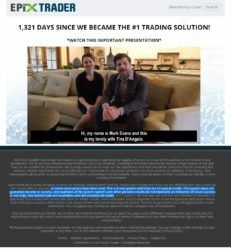 Epix Trader is a dirty scam that is made to make you deposit and lose money with a crappy software. Stay away from it! If you are interested in learning how to really make money in trading, open a free binary options account with a regulated broker. You have to test and learn until you build a profitable strategy. No robot will make money for you for free.